Save on your next flight from SXB to TOE when you book through Travelocity. Need a last-minute flight to Tozeur? Travelocity offers discount airfare no matter when you book, even on popular routes such as Strasbourg Intl. Airport to Nefta Airport. Whether you need a direct or indirect flight, you can trust Travelocity to provide you with the best prices for SXB to TOE flights. Top Flights from Strasbourg Intl. Explore Tozeur with Travelocity's Travel Guides to find the best flights, cars, vacation packages and more! 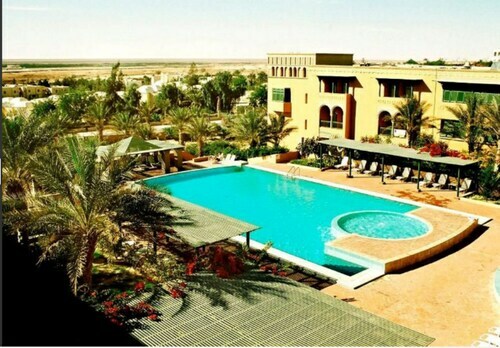 This family-friendly Tozeur hotel is located near the airport, 0.5 mi (0.9 km) from Dar Chrait Museum, and within 16 mi (25 km) of Oasis Entrance Gate and Corbeille of Nefta. Great Mosque of Sidi Salem is 14.9 mi (24 km) away. Situated near the airport, this hotel is 1 mi (1.7 km) from Dar Chrait Museum and within 16 mi (25 km) of Oasis Entrance Gate and Corbeille of Nefta. Great Mosque of Sidi Salem is 15.1 mi (24.4 km) away. Situated near the airport, this hotel is 0.3 mi (0.5 km) from Dar Chrait Museum and within 16 mi (25 km) of Oasis Entrance Gate and Corbeille of Nefta. Great Mosque of Sidi Salem is 15.2 mi (24.5 km) away. 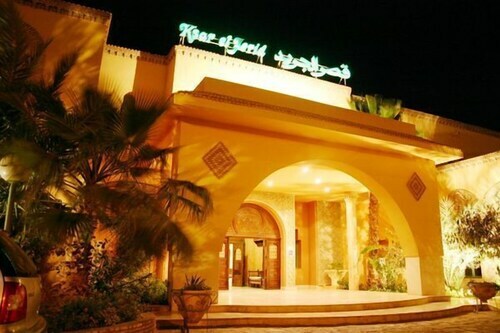 This family-friendly Tozeur hotel is located in the historical district, 0.4 mi (0.6 km) from Dar Chrait Museum, and within 16 mi (25 km) of Oasis Entrance Gate and Corbeille of Nefta. Great Mosque of Sidi Salem is 15 mi (24.2 km) away.